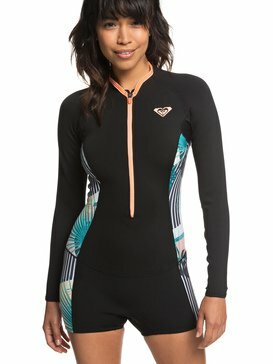 ROXY designs amazing women’s wetsuits so that you can look fashionable both in and out of the water. We have a long history of creating performance surf products, and one day we asked ourselves, what’s the deal with wetsuits? 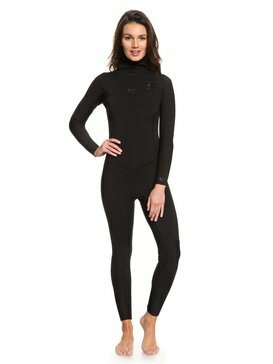 Why are wetsuits always just black and boring? 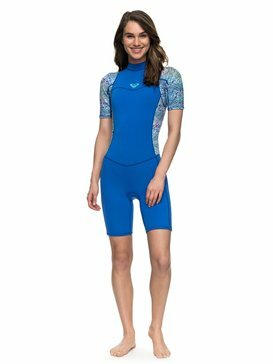 As women, we understand that even when you’re demonstrating your fierce competitive side, you still like to look good, and we thought that should be reflected in what you wear in the water. 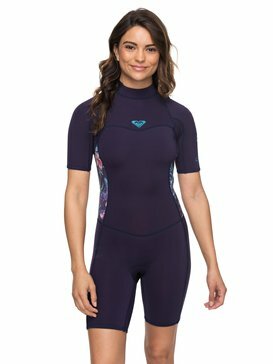 All of these thoughts inspired us to design women’s wetsuits that can not only keep up with your performance levels, but allow you to stand out in the lineup as well. 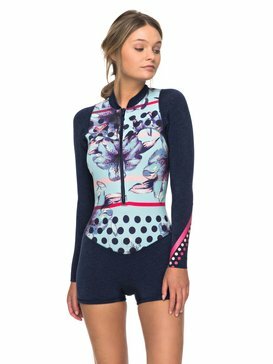 Our collection of wetsuits is unlike that of any other brand, and introduces feminine cuts and silhouettes paired with bright colors and fun designs so your style stays as unique as your skills. 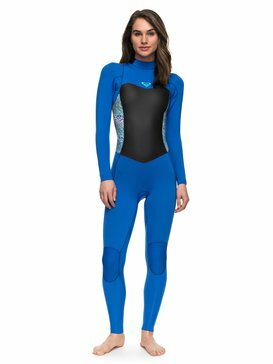 Choose to stand out next time you shop for wetsuits and shop with ROXY to take advantage of all of the best options. 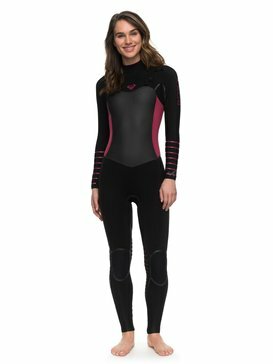 When it comes to women’s wetsuits there is no debate about which brand is best. 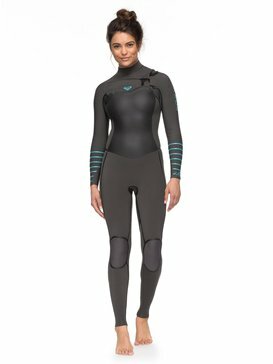 ROXY has been designing the best wetsuits for women for years. 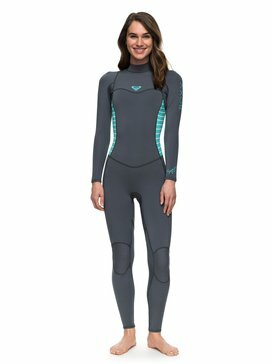 What makes our wetsuits superior to other options? 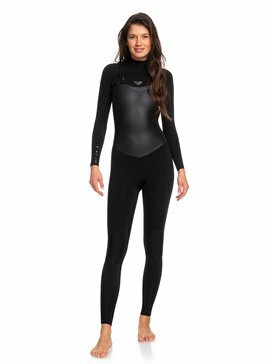 Each wetsuit is designed with the highest quality water resistant materials and warmth technologies to ensure that your performance in the water is never hindered by the wetsuit that you’re wearing. 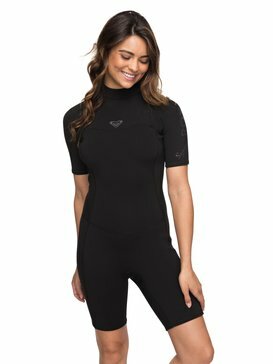 We believe that surfing wetsuits should be light, durable, and comfortable so that you don't feel restricted and are able to move as feely as you like on your board while still staying properly protected from the water conditions. 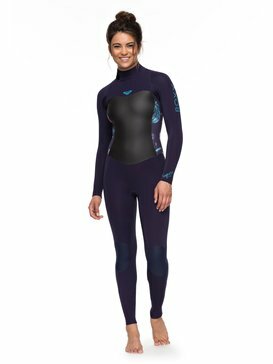 Each of our ROXY wetsuits is held up to professional standards, meaning that if it’s not good enough for our professional athletes, it’s not good enough for you. We want you to suit up in nothing but the best each time you grab your surfboard and get ready to head out for another perfect session. 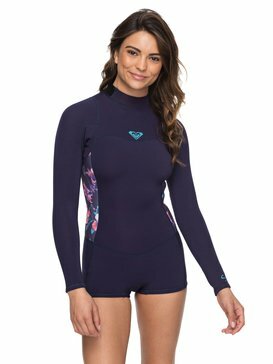 When you shop with ROXY, you can be confident that your wetsuit has every detail you need to make the time spent on your surfboard comfortable and confident. 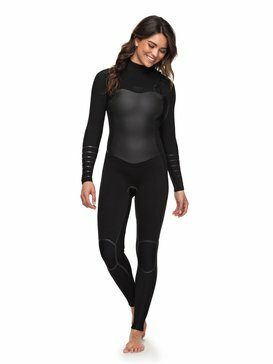 There are many choices when it comes to women’s wetsuits. 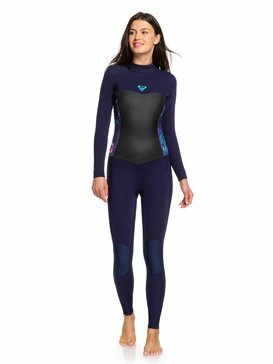 When it comes to choosing the right wetsuit for you, much of your decision will be governed by what types of conditions you plan to surf in. Are you the type of surfer who only enjoys surfing during the summer when water temperatures are warm? Or maybe you are lucky enough to live in a location that enjoys warm water temperatures year round! 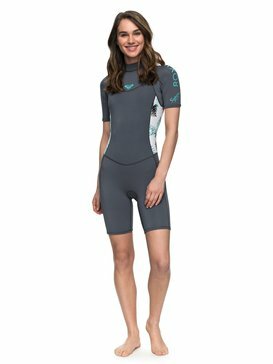 Either way, you’ll definitely need a summer wetsuit styles like one of our 2mm wetsuits, springsuits, or sleeveless wetsuits that is light enough to keep you comfortable but durable enough to keep you protected. 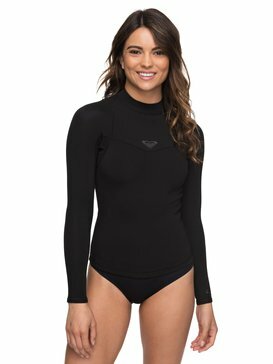 If you love to surf year round, or live in an area where the water temperatures aren’t always forgiving, you will need to add some thicker wetsuits to your collection. 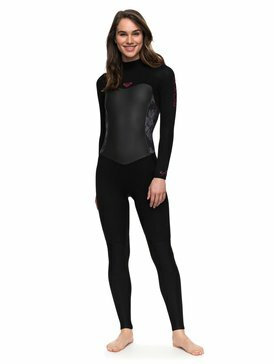 We have great styles of cold water wetsuits and winter wetsuits including 3mm wetsuits, and full wetsuits. 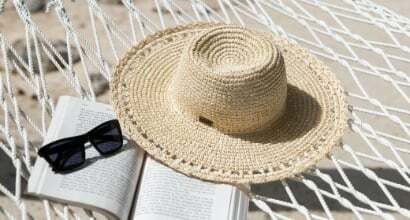 Along with temperature, your personal style plays a big role in your purchase decisions. 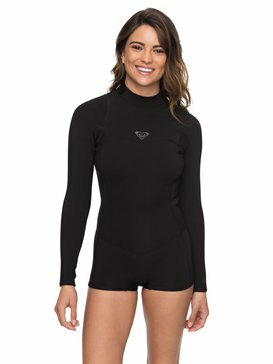 We have a range of unique styles of women’s wetsuits including styles that mimic swimwear like our long sleeve one piece wetsuit, or our bikini springsuit, These styles are a trendier spin on the classic wetsuit style and are a fun way to switch things up during the year. Our long sleeve springsuit is also a fun style for days when you don’t need to be overly concerned about the weather but want to maximize both style and coverage. With design comes accessibility. 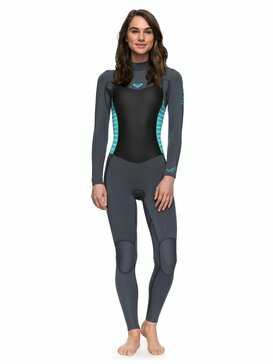 How do you like to get into your wetsuit? 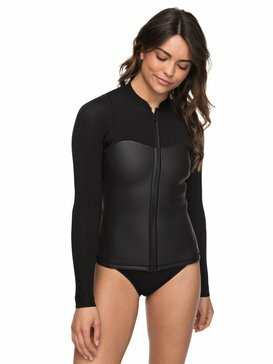 Do you prefer front zip wetsuit styles or back zip wetsuit styles? ROXY has a wide selection of each so that you can match your style with your preference for comfort and accessibility. Are you ready to start strutting your surf style? 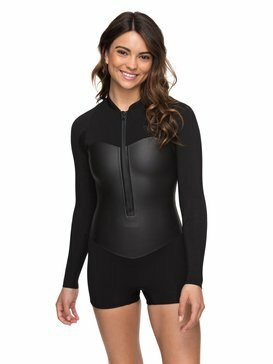 Make your way to ROXY’s online store today and browse our full selection of women’s wetsuits to see all of the awesome and unique styles we have to offer. We’ve made it easy for you to buy your perfect wetsuit online so that you can get your shopping done quickly and return to dreaming about your next surf session. If you have questions about what wetsuits are right for you while you are shopping, our free customer service helpline is available to provide any information you need to aid you in making the best purchase decisions.